I've played on a small fiberglass didgeridoo for a few years, I took the plunge and bought a large, natural didgeridoo. First off the look is just amazing, It has a very nice heft to it and it plays beautifully. Sanshi was great in making sure I got my order all the way in Michigan in the USA. 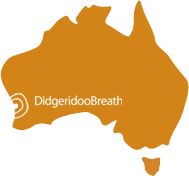 I can't tell you how truly happy I am that I went with didgeridoo breath and i will always be grateful to these great guys for getting me what I really wanted. Delivery time and product quality is great to say the least. Absolutely love the beginner lessons by Sanshi as included in the Starter packs. This was a great starter didge, along with the very concise tutorial with Sanshi, I was able to pick up circular breath in 3 days. I have purchased a couple more didges from them and they are amazing, best quality. delivered fast. Customer service is tops.... good responses and advice. I will be a customer for life. 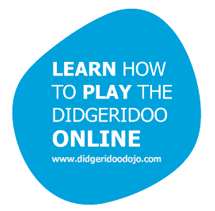 I could not wait for my Didgeridoo to arrive! I was so excited when it finally came to Mass. all the way from across the world! It's perfect, quite heavy and study and it sounds like like I wanted it to. the lessons are the best. Sanshi is a wonderful Didgeridoo teacher.